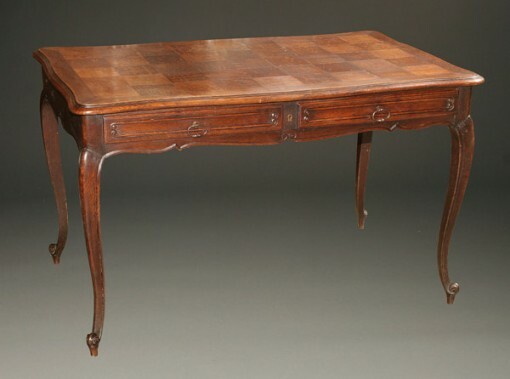 Late 19th century oak parquet top writing table with two slides.Late 19th century oak parquet top writing table with two slides. 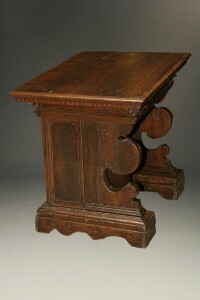 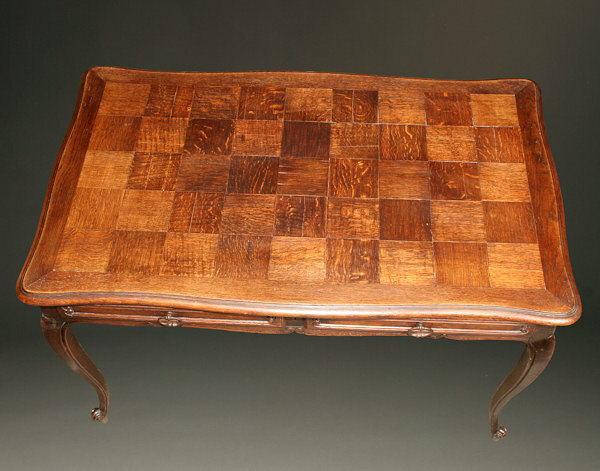 Late 19th century oak parquet top writing table with slides and drawers, circa 1890. 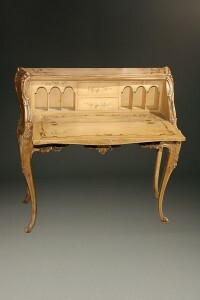 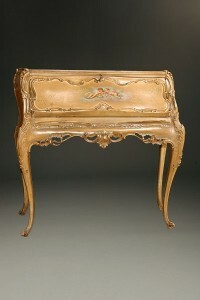 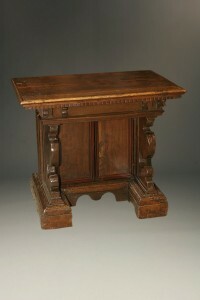 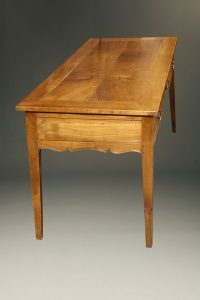 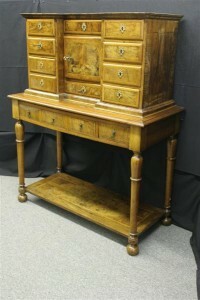 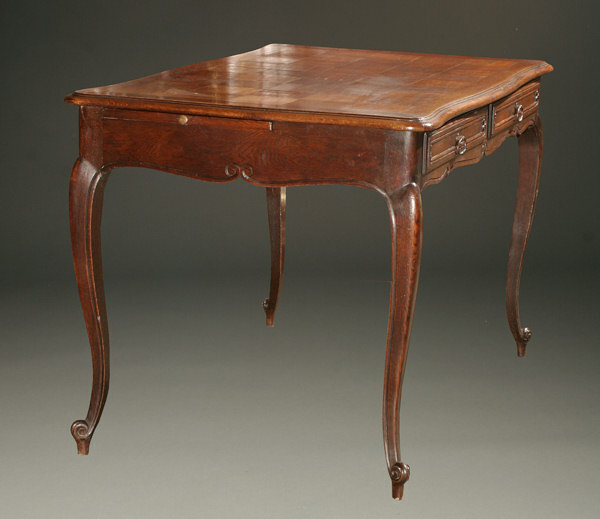 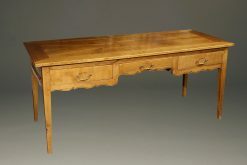 19th century French country Louis XVI style desk in fruit wood. 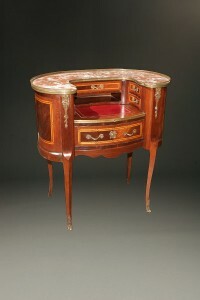 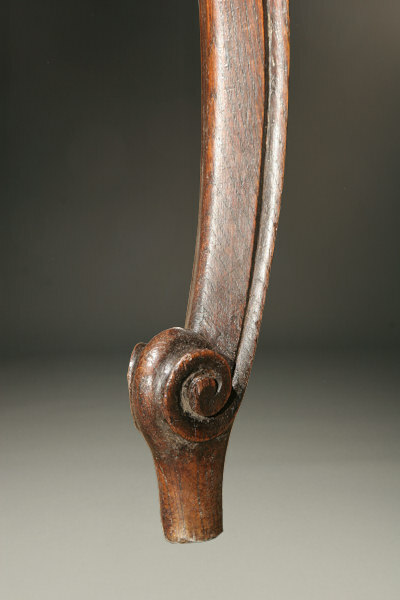 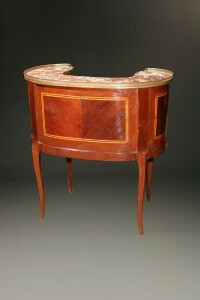 Louis XV style kidney shaped writing desk with slide.